HONDA QUALITY! GREAT LITTLE HONDA CIVIC MECHANICALLY INSPECTED, SERVICED AND UPGRADED FOR YOUR SAFETY AND PROTECTION. THE CIVIC IS A FUN TO DRIVE AND HAS A VERY GOOD HISTORY OF RELIABILITY. CLEAN CAR FAX! LOCAL TRADE IN. 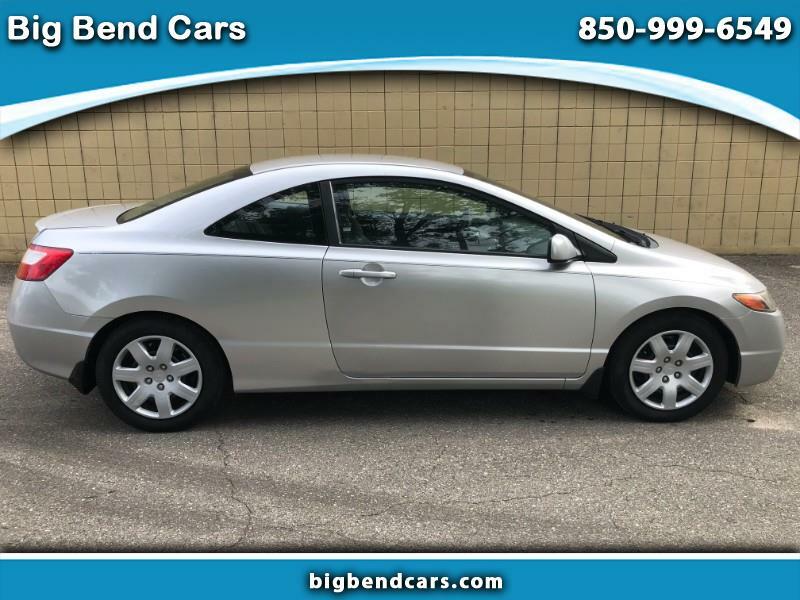 Includes:4-Cyl, VTEC, 1.8 Liter, Automatic, FWD, ABS (4-Wheel), Air Conditioning, Power Windows, Power Door Locks, Cruise Control, Power Steering, Tilt Wheel, AM/FM Stereo, Dual Air Bags, Side Air Bags. THE MECHANICAL TECHNICIAN INSPECTED THIS CAR AND WE FOUND A SMALL CRACK IN THE RADIATOR. A NEW RADIATOR WAS INSTALLED. THERE WAS A SMALL LEAK FROM THE VALVE COVER GASKET SO WE REPLACED THE VALVE COVER GASKET! WE INSTALLED NEW SHOCKS AND A NEW CV AXLE. WE GAVE THIS CAR A COMPLETE TRANSMISSION FLUSH WITH NEW TRANSMISSION FLUID FROM HONDA! AFTER UPGRADING THIS CAR TO OUR STANDARDS WE ARE NOW READY TO SELL IT. WE OFFER A FREE CAR FAX SO YOU CAN MAKE AN EDUCATED BUYING DECISION!